An essential part of our temple family is the Chesed group. This group reaches out to members of the Har Zion family in a variety of ways. We send out wishes of congratulations for those celebrating special birthdays (multiples of five), messages of condolence to those who have suffered losses in their lives, and get well messages to those who are ill or have been hospitalized. In addition, we visit people at home or in hospital, provide meals when needed for those who are convalescing, and reach out by phone to those who are in need. Often, ideas for programs are suggested by temple members. 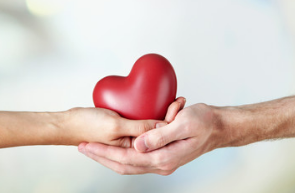 We have organized bereavement groups, meditation groups, healing circles, programs on pain management and educational community awareness sessions on the importance of organ donation. We have put together a list of resources to help members of our temple family and the community at-large should they find themselves in a difficult position. This list will be updated and added to on a regular basis. If you need to reach a member of the Chesed group, please contact the office by email, info@harzion.ca or by phone 905-889-2252 ext 103. Include your contact information with our amazing office staff and they will make sure your message is passed on.